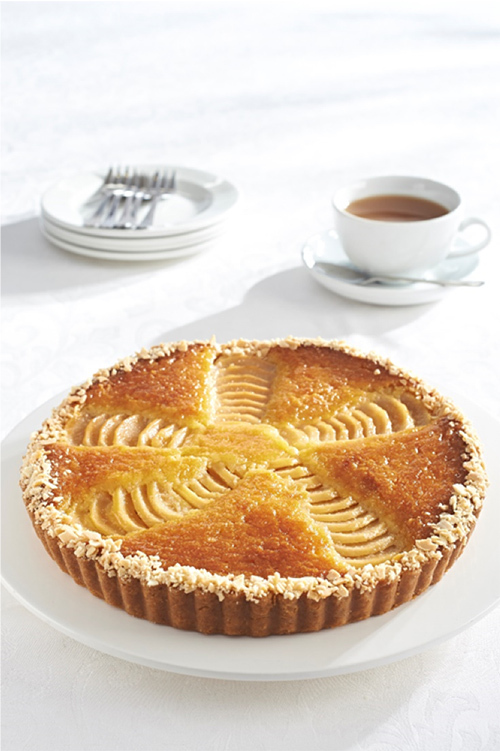 Pears have to be our favourite winter fruit at Prue Leith Chefs Academy, and there is no better way to celebrate them than with a Tart Bourdaloue. This French classic is one of the many recipes our students learn and as it combines several skills it also features regularly in our pastry exams! But first a few fun facts about pears! There are apparently over 3000 varieties of pears grown around the world. Pears are native to Asia and Europe and the Chinese considered the pear to be a symbol of immortality. The destruction of a pear tree symbolized tragic or untimely death. Pear leaves can apparently be smoked! It is said that before tobacco was introduced in Europe, it was not uncommon to light up pear leaves. Towns with an abundance of pear trees often included the word Perry in the name of the town. Pears are often recommended for weaning babies because they are low in acid and aren’t too harsh on the digestive system. Pears are considered by some to be hypoallergenic because pear allergy is rare. However, people who are allergic to Alder or Birch pollen could be allergic to pears. Now make the tart! It takes a bit of effort, but it is well worth it. Combine the butter and castor sugar in a kitchen aid bowl with a paddle attachment and cream until the mixture is light in colour. Add the ground almonds and mix well. Beat the eggs in one by one, ensuring it is well combined before the next addition. Remove the pears from the poaching liquid and place them flat side down onto a green board. Starting at the top of the pear cut 3mm slices width ways on the pear, ensuring all the pieces stay neatly together. Complete this process with all the halves. Pipe the almond cream into the cooled shell ¾ full and arrange the pears in a six sided star formation, flat side down with the fat part of the pear facing the outside of the tart case. Be sure to fan the pears outwards starting from the middle. Brush the pears with melted butter. Place the tart case onto a tray and place in the oven. Bake until the almond cream is golden brown in colour and springs back to the touch in the center of the tart. In a small saucepan combine the apricot jam and water and bring to the boil, reduce the mixture to a light syrupy consistency, making a nappage. Brush the surface of the tart evenly with the nappage and place a 1cm border of almonds on the edge of the tart. Sift the flour and the salt into a bowl. Combine the butter and castor sugar in a Kitchen aid bowl with a paddle attachment and cream until the mixture is well combined. Add in the egg yolks gradually. Place the flour onto a clean sanitized surface and add the butter mixture. Using an offset palette knife cut the flour into the butter, until it resembles fine breadcrumbs. Bring the pastry together using your hands, do not knead the pastry as you don’t want to develop the gluten. Shape the pastry into a rectangular shape and wrap in cling wrap. Rest it in the fridge for at least 30 minutes before use. Roll out and line tart cases not more than 5mm thick. 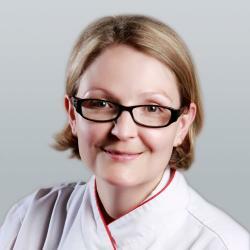 For Tart Bourdaloue, blind bake the tart case, but not too long as it will bake a second time. On a cutting board, peel and halve the pears. Using a melon baller scoop the core out of the pear and trim the stalk, place the pears in water with some lemon juice (acidulated water). Place the water, juices, zests, vanilla, cinnamon stick and sugar into a 5L pot and bring to the boil until the sugar has dissolved. Simmer the poaching liquid for 5 minutes to allow the flavours to infuse. Place the pears in the liquid, cut side facing upwards, ensuring they are covered by liquid and cover with a cartouche. Simmer (do not boil as this will affect the pears’ texture) until the pears are soft. Check the doneness with a toothpick inserted into the core area. The toothpick should hit a slight resistance when the pears are done. Remove the pears with a spatula as a metal spoon will possibly damage the soft pears. Strain the poaching liquid and then reduce remaining syrup to a sauce consistency. Store in an airtight container in the syrup in the fridge until needed.